We're going to be talking about the ethics of automotive repair. It seems like news outlets really like hit-and-run reporting; they hit everyone from groceries stores to retail to physicians. And the TUCSON automotive service and repair industry hasn't been given a pass either. Unfortunately, every profession in TUCSON has some bad actors that hurt the reputation of everyone else. On the automotive side, industry associations and professional licensing organizations are very committed to high ethical standards. Yet some people remain uncomfortable with TUCSON automotive service and repair. It may start with the fact that our vehicles are a big investment and we rely on them for so much in our lives. That alone guarantees our attention. And how well we understand the recommendations really impacts our comfort level. If we understand what's recommended and the benefits of taking care of the work – and the pitfalls of putting it off – we'll have more trust in the recommendation. So communication is key. It's like going to the doctor; If she's using medical jargon and takes a lot of basic medical knowledge for granted, we have a hard time following her train of thought. It can be like that with your TUCSON service advisor too. He's so familiar with all things automotive, he may forget you don't know a PCV from an EGT. If you don't understand what your doctor's talking about: ask some questions. If you don't understand what your TUCSON automotive advisor's talking about: ask some questions. For example, it you take your car in for a grinding noise when you step on the brakes, you may just think you need new brake pads. After the inspection, the technician at All Makes & Models Auto Repair says that you have a cracked rotor and need to replace it. If you tried to get him to simply put new pads on, he would say that if you didn't want to replace the rotor; All Makes & Models Auto Repair would ethically have to refuse the repair. For those of you in TUCSON, AZ who pay attention to these things, you may have been hearing about the new direct injection engines and want to learn more about them. Some deliver the power of a V8 with the economy of a V6. Replacing fuel injectors at All Makes & Models Auto Repair isn't cheap. Direct injection injectors are even more expensive because of the extremely high-pressure they use. Same thing for diesel fuel injectors; we're talking mortgage payment-range to replace a set of diesel injectors. A professional fuel system cleaning from All Makes & Models Auto Repair gets out the gum and varnish in the whole system, including the fuel injectors. Keep those injectors clean and they'll last a long, long time. When all of your vehicle's wheels are lined up exactly with each other, your wheels are in alignment. Hitting a road hazard or even just the normal bumps and bounces of everyday driving in TUCSON can cause your vehicle's wheels to be out of alignment. Driving for an extended time around TUCSON when your wheels are out of alignment results in uneven tire wear. This is dangerous … and expensive. Worst case scenario, you have a blowout on a crowded AZ highway. It can also cause premature wear to your suspension system, which can be really expensive to repair. At the very least, you may have to replace your tires years too early. The ideal alignment for your vehicle was designed by its engineers. Alignment service at All Makes & Models Auto Repair starts with an inspection of the steering and suspension – to see if anything's bent or broken. 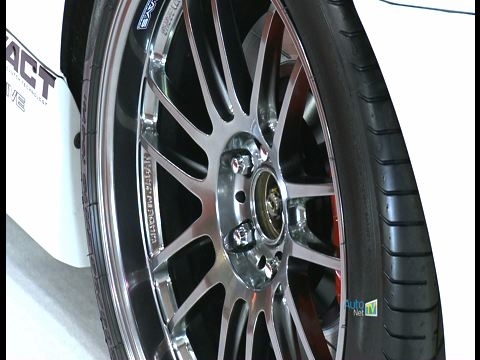 Then your friendly and knowledgeable All Makes & Models Auto Repair technician will look at tire condition. Your vehicle owner's manual probably has a recommendation for how often your alignment should be checked – usually every couple of years. If you suspect an alignment problem, get it checked at All Makes & Models Auto Repair before you suffer expensive tire or suspension damage. 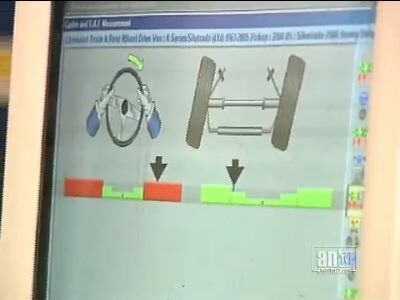 Today we're talking to TUCSON drivers about shocks and struts. They're so easy for AZ folks to forget about because they last so long and wear out so slowly. But your shocks are really responsible for keeping your tires on the road – so they're very important. Without shocks, your wheels would be bouncing over bumps and lifting on corners. The shocks push the tire down to the road to maximize traction. Good shocks equal good ride quality and safe handling for TUCSON drivers. Visit All Makes & Models Auto Repair to have your shocks and struts inspected by a professional. What's up with Diesels in TUCSON? Diesel-fueled vehicles haven't been as popular in the North American markets like AZ. But that won't be true for long. 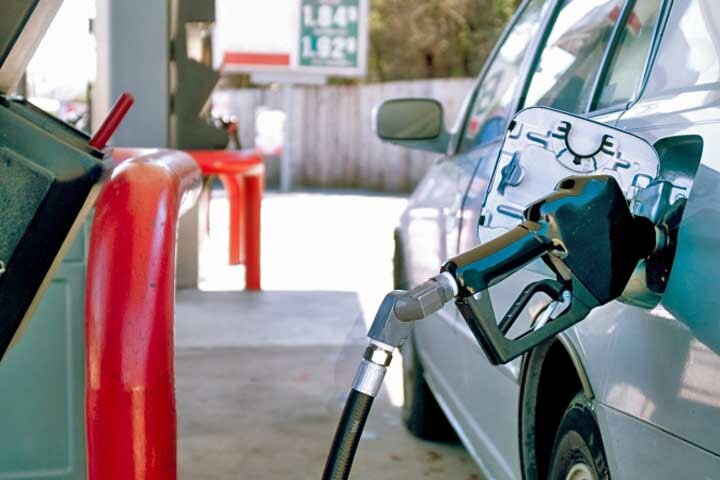 North Americans are seeing a lot more diesel-fueled vehicles on the road. And we're not talking about buses and trucks. These vehicles will be passenger cars, pick-ups and SUV's. But that high sulfur content is now a thing of the past. Fuel producers are now required to sell cleaner diesel fuel in TUCSON. That opens the North American market to more diesel-powered vehicles. The second reason we're going to see more of these vehicles in TUCSON is that they're more fuel-efficient than their gasoline-powered counterparts. Diesel fuel has higher energy density than gasoline. That translates to more power per barrel of fuel. In your tank, that translates to better engine performance and about 20% better fuel economy. People in TUCSON may associate diesel engines with black smoke, noise and a definite “shake, rattle and roll.” That's also a thing of the past. Modern diesel engines are smooth, quiet and produce cleaner emissions than gasoline engines. Also, forget that three-second wait behind a diesel vehicle at a stoplight. Modern diesels are just as quick to accelerate as other vehicles on TUCSON roads. Bio-diesel can be manufactured from vegetable oils, including used cooking oil from TUCSON restaurants. Just think, one day you could fuel your vehicle on stuff that was once considered waste—one step closer to a cleaner environment here in AZ. And if you think hybrid cars are environmentally sound, consider what a diesel-electric hybrid could mean. TUCSON drivers who are considering buying a diesel-fueled vehicle should know that preventive maintenance and inspection schedules are different for a diesel engine than a gasoline engine. Diesel fuel is harder on emissions systems than gasoline, so the filters and other devices have to be changed and checked more often. Also, the fuel injection system operates at much higher pressures for diesel than for gasoline, so keeping it clean becomes a higher priority. When you switch from a gas vehicle to a diesel, you'll have to learn some new rules of vehicle care. But you won't be alone. Most TUCSON service centers are aware that diesels are coming to North America and are already prepared to provide service for diesel engines. At All Makes & Models Auto Repair, we are well-versed in diesel technology. You can rely on our team of automotive professionals to provide quality service for diesel-powered vehicles. The catalytic converter is the next component of your vehicle exhaust system. It sort of looks like a muffler. Its job is to change dangerous gases into harmless carbon dioxide and water. The catalytic converter doesn't require any regular maintenance, but it can wear out. If it fails, you will need a new catalytic converter to pass an emissions test in AZ. Call All Makes & Models Auto Repair at 5208077571 if you suspect a problem with your catalytic converter. It is important that damaged mufflers be replaced immediately at your TUCSON automotive service center, especially if they are leaking. Not only will the extra noise annoy your TUCSON neighbors, a leaky muffler could be serious. Caring for your vehicle exhaust system at All Makes & Models Auto Repair yields cosmetic benefits like quieting your engine sounds, but also may impact your health and safety. Your life, or the life of a loved one, may actually be on the line. Today at All Makes & Models Auto Repair we want to talk with you about a very important safety issue. This automotive safety warning is coming from a very unusual source: fire fighting experts. You've probably heard of E-85 gasoline being offered in the TUCSON area. Some newer vehicle models are specifically built to run on E-85 – the rest are not. Does your vehicle use E-85 gasoline? Bring it down to All Makes & Models Auto Repair at 1305 E BENSON HWY in TUCSON, AZ 85714, to find out, or give us a call to make an appointment by calling 5208077571. E-85 gasoline has been developed to fight air pollution and reduce oil consumption. E-85 fuel is a mix of 85% ethanol, a grain-base alcohol, and 15% gasoline. So-called Flex-Fuel vehicles are designed to use either normal gasoline or E-85 gas. The result is lower exhaust emissions to our local TUCSON community. All gas engines can run with up to 10% ethanol, and in fact a lot of gasoline sold in the TUCSON, AZ, area does contain some ethanol. The problem comes when well-meaning residents without Flex Fuel certified vehicles put E-85 into the tank. You TUCSON auto owners can imagine the fire hazard caused by leaking gasoline. AZ fire fighting experts caution drivers to only use E-85 if they know their vehicle is certified to handle it. They expect vehicle fires to increase because of using the wrong fuel in non-Flex Fuel vehicles. Everyone in TUCSON, AZ eventually replaces their tires, whether it's because they're worn out or they're just looking for something different. There are so many great tire choices in TUCSON, it can be difficult to sort them out. Let's group the broad spectrum into several categories that will help in the selection process. One category is often referred to as "summer tires". Summer tires are designed to be driven on the road when temperatures are generally above 45 degrees F (7 degrees C). Their tread design is optimized for traction on dry roads around AZ and they're also able to effectively displace water on rainy roads. For many people, an all-season tire is the answer. You will give up some of the performance at the extreme ends of the summer tire/ winter tire spectrum, but you will find a long wearing tire that gives both good highway performance and winter traction on our TUCSON, AZ, roads. Within the all-season category, there are many choices that your tire advisor at All Makes & Models Auto Repair can help you evaluate. Most TUCSON auto owners want to save on gas and seek our advice on improving economy. At All Makes & Models Auto Repair, we are frequently asked, however, if it is really worth the extra effort. Just how much money can TUCSON drivers actually save? In today's All Makes & Models Auto Repair article, we're focusing on the things you can do to improve your vehicle’s economy driving around AZ. We'll tell you the potential savings per gallon of gas at $3.50, and we'll show a chart that also shows the savings at $3.00 and $4.00. Fixing a faulty oxygen sensor can improve economy by up to 40 percent. That's a whopping $1.40 in savings per gallon. Bring your car to All Makes & Models Auto Repair in TUCSON and we'll check your oxygen sensor. Chances are that if your oxygen sensor is kaput your Check Engine light will come on. Now, there are any number of things that could cause your Check Engine light to come on besides oxygen sensor problems. But if it's on, get it checked out as soon as you can at All Makes & Models Auto Repair. Here's an easy one for TUCSON auto owners. Inflate your tires to the recommended pressure. That could save you three percent or 11 cents a gallon. Even a little drop in pressure will bring down your economy, so check your tires every week. Another thing TUCSON vehicle owners can do to improve that costs nothing is to toss the junk out of our trunks. In other words, clean out the car and stop hauling around non-essentials. Don't treat your vehicle like a storage locker. Dumping 100 pounds of extra weight adds up to a 2% savings at the pump. All joking aside, let's all do ourselves a favor and fatten up our wallets by practicing good car care and better driving habits in AZ.